On November 14, seven Political Science seniors presented their SAGES Capstone research. They were joined by friends, family, Political Science majors, and faculty. Congratulations to all of our presenters! For more photos of the event, check out our Facebook page! 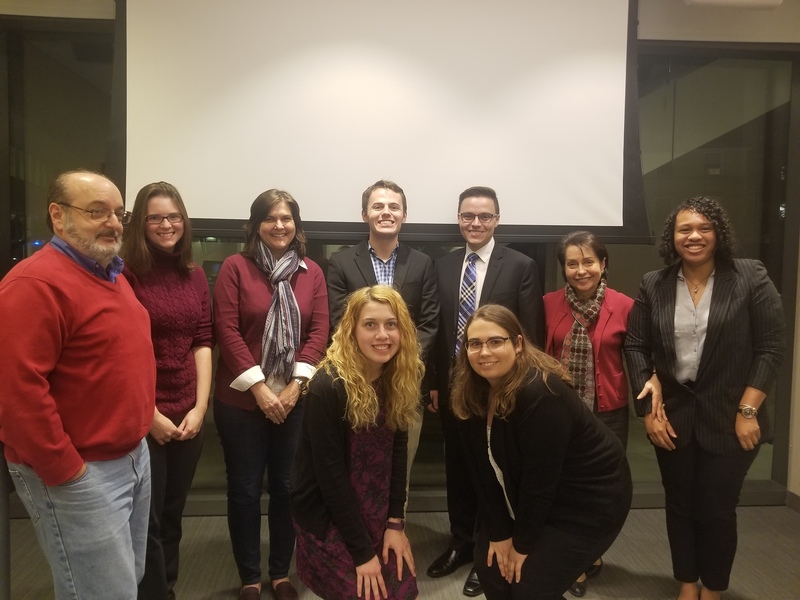 Pictured from left to right, back row: Professor Joseph White, Heather Hoden, Professor Kathryn Lavelle, Parker Glofelty, Jacob Sandstrom, Senior Instructor Laura Tartakoff, Koko Etokebe. Front row: Abigail Moss, Mariah Sickler.